A company’s lead generation efforts are heavily reliant on the success and attractiveness of their landing pages. No matter whether it is social media, AdWords, banner ads or organic SERPs driving traffic to your website, each of these platforms should link through to a landing page of some sort in an attempt to increase your conversion rate. Having an amazing SEO strategy is great and visits to your site could be coming in the thousands, but all of this is useless if this traffic isn’t transferring through to qualified leads. The landing pages you are directing your traffic to need to convert visitors, otherwise the time and money you spend on getting them there is wasted. 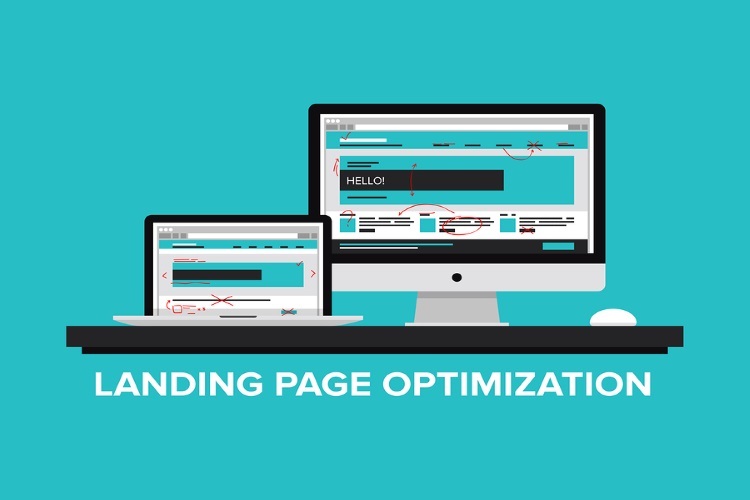 So the question is, what can you do to your landing pages to make more visitors convert? Typically, when viewing a landing page, the visitor will have around 5 seconds before they lose interest, meaning you have a 5 second window to increase their curiosity and encourage them to take the next step in the conversion process. Whether you are trying to get them to fill out a contact form, click through to a blog post or hit ‘buy now’, the use of direction can often be beneficial. By this I don’t mean adding huge red arrows pointing to your CTA, this would most likely come across as spammy. Instead, by subtly incorporating light, theme fitting arrows you can gently remind them of where it is they need to go. Take Pingdom as an example. Pingdom make the most of having a minimalist design on their page by incorporating a hand written styled arrow directing users to the CTA. By doing this, the user may not even realise that they are following your instruction, as it is a natural reaction for the eyes to follow any given direction. One thing to remember is that if you are not a huge brand such as Coca Cola, much of the traffic that is driven to your site may not be fully aware of who you are. Because of this, proof of your credentials must be displayed for any unknowing visitor to want to take action on your site. As you can see, we evidence who we work with. This doesn’t mean cluttering your landing pages with every single client you have ever worked with, but just a select few placed correctly can do the job perfectly in order to build confidence within the user. Also, if you have won any awards or accreditations, make sure you are showing these off, as again, these go towards building the trust around your site. Using real people within your landing pages is an aspect often overlooked. Showing faces has been proven to immediately increase the trust of a consumer on a websites page. People often look at photos as a way to fill space and make the website look ‘cool’. What they do not realise, however, is that these photos can be used to add value and trust to the landing page. The ‘above the fold’ section is clearly the most important segment of a landing page. Companies often waste this space by incorporating useless graphics instead of real pictures. Most people will tend to ignore this image, thus producing less engagement and trust in the page. Not only does a ‘real person picture’ add trust and personalisation to your website, it can also show visitors where to look on a landing page. For example, if you have a picture of the MD looking directly at a bit of text leading to the CTA, visitors are more likely to look to this section due to the intrigue brought on through the image facing a certain element of the page. White, or empty space on your landing page can be the determining factor of whether people make the decision to convert or not. It may sound silly, but having a lot of blank/white space within your landing pages improves the page elements in various ways. For example, it helps you to organise design elements, looks more appealing and less cluttered, and emphasizes something important, such as a CTA. Even though the CTA isn’t to make a direct purchase, it is still an action that KiSSmetrics is wanting the user to complete. This page is extremely well designed! First of all, you have a very simplistic page, 80% filled with blank/white space, meaning unnecessary text has been eliminated so it isn’t confusing to the eyes. Next, you have the line graph, which not only represents the analytical side of the software, but also leads your eyes to the appealing man on the right. From here, your eyes immediately follow his, and ultimately you are diverted to the text on the top left of the page, where the CTA is waiting for you in a dominant, standalone blue colour. It almost follows the old school Z reading pattern, but it works. Memorable faces, mascots or gimmicks are the perfect way to not only reinforce the brand, but also push people into completing the desired action. Well known mascots can be the perfect way to reinforce trust within a consumer at the exact point of conversion. The monkey is used cleverly at the top of the page against a blank canvas, so that it is the first thing your eyes are drawn to. By seeing the mascot first, you feed instantly trusting, and therefore can continue to fill out the form in complete comfort. These are just a selection of tweaks you can do to your landing page to try and increase conversions. You may have many more ideas that you could implement yourself. The only thing I would recommend is when thinking about making a change, remember to test the implications one at a time using AB testing. This will prevent you from receiving confused results from a number of changes on-page and not really knowing which element of change worked best.